Our order consisted of the delicious fish called “malasugue” done three ways. 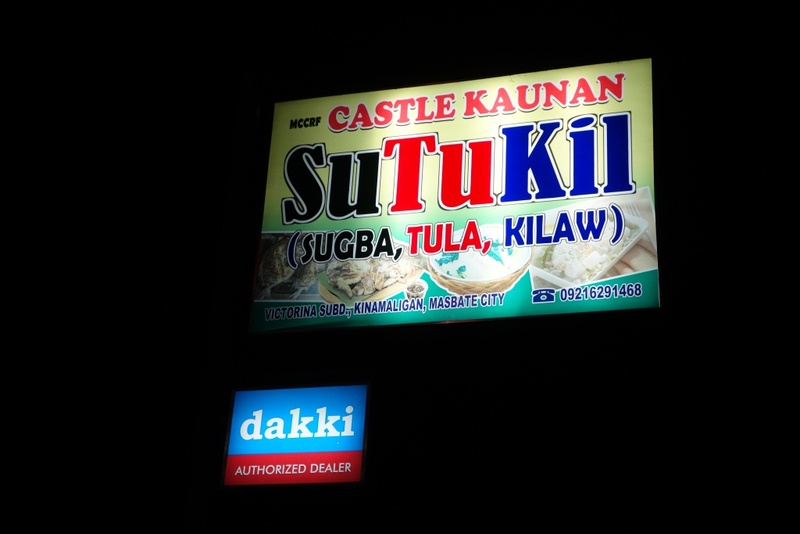 Sutukil means SUgba, TUla, and KILaw. Sugba is grilled malasugue, TUla is malasugue in broth, and KIlaw means making a part of the malasugue fish chopped raw and only done in vinegar and some spices. 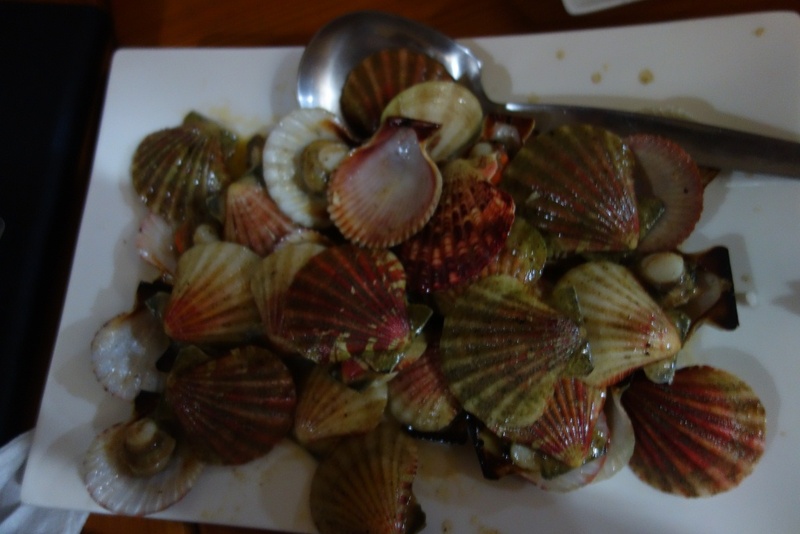 On top of the 3-way malasugue, we also ordered scallops in butter, and seafood kare-kare. We had extra orders of rice, and several 1.5 liters of soda. There were a lot of food on the table that I finished while there were a lot of food left. I figure we could have had 25% more friends with us and the food would still be sufficient. 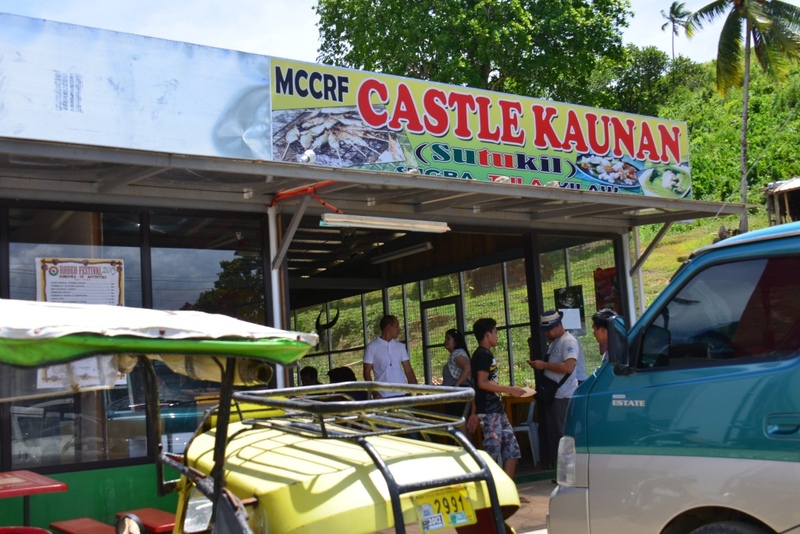 Thus, with overflowing good food that some of us tried hard to finish (what a waste if some of the food is left unfinished), the share of each one of us was only P200.00. I couldn’t believe it that a feast like that will cost us only P200 each. I am sure my friends will also recommend this restaurant to friends who might be in this part of the world. SUTUKIL is in Barangay Kinamaligan. All tricycle drivers know how to get there. Having no transport of our own, we all waited for our turns riding tricycles back to our hotels. Excellent food at almost carinderia prices. thank you sir for the free advertisement. We are really after the taste of food that the people will like and not the income. Affordable para makatikim nung sa palagay nila mamahaling pagkain kahit ung kunti lang ang budget. You deserve the good review. I was glad I took my whole group there after one rodeo event. I was there last year and I had no qualms about bringing friends because I was sure the food will be to their liking. That we only shared P200 per person was almost unbelievable. 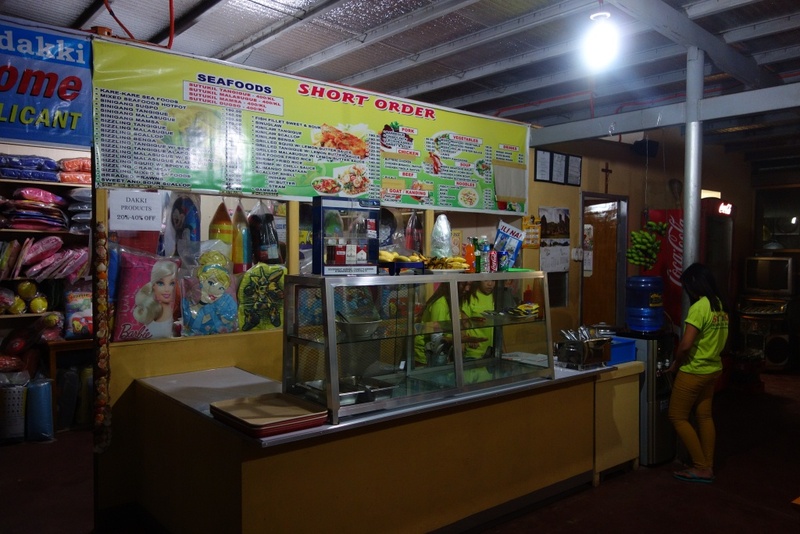 Good food at a fair price, how can anyone go wrong? I will be back to Castle SUTUKIL when I am back in Masbate, 100%.